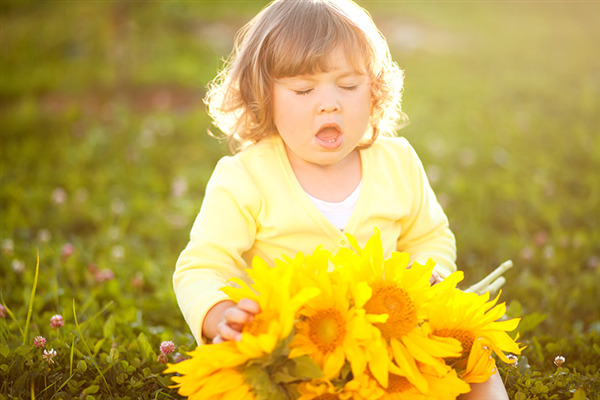 While allergies can appear at any age, many develop in early childhood. Children should be monitored closely from birth, especially if there is a family history of atopy (asthma, eczema and/or hayfever). There is a genetic link to some types of allergies. If you think your child might have a serious allergy you should arrange to see your GP for testing. Another great way to ‘rule’ things out is to keep a diary tracking your child’s activities, including food, and drink as a way to detect the cause of their symptom/s. A common childhood allergy is hay fever, and like most adults, children are most susceptible during spring. Where possible, its best to keep your child away from the allergens that cause distressing and uncomfortable symptoms.